Internet of Things (IoT) boom has brought us to security concerns that were beforehand unthought of. Web APIs, or the more particularly REST APIs, are the keys to associate these devices to the internet. IoT gadgets are driven by handheld gadgets and modern websites. Thus, lightweight and developer-friendly REST APIs are the need of the hour. 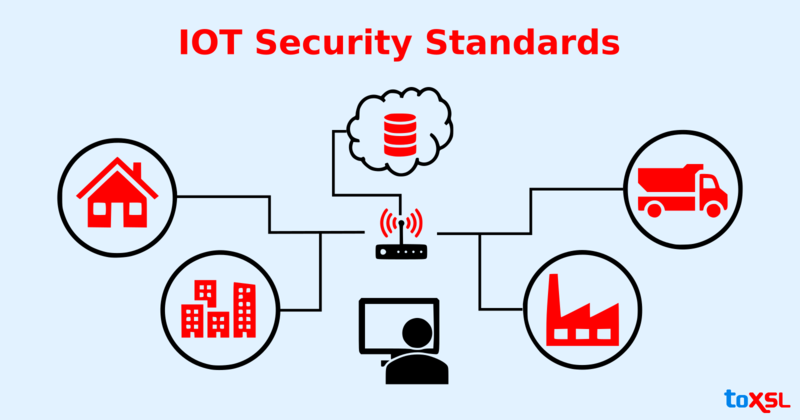 Organizations looking for an opportunity in IoT with REST APIs keeping in mind the end goal to build up an application to get access, control or command an IoT device must not disregard the following security threats that spin around IoT application development. Insecure Software: Number of individuals are not ready to set passwords that are sufficient in complexity and length. So their devices gadgets are dependent on very basic passwords. It will be an incredible source for hackers to hack their gadgets as the passwords are not difficult to encrypt. So they have to follow strong password policy that will be the base for good security. Authentication issues of information may not be straight but rather they will be the purpose of a security risk without a doubt. Hardware Issues: As there is an awesome hike of mobility solutions and cloud computing with IoT, a number of chip producers are reinforcing their processors for additional security with each new generation. The most recent design of chips is prepared particularly for the IoT devices. Additionally, the multifaceted design will require more battery power which is completely a challenge for IoT applications. Privacy: There are a number of connected devices that collect personal information like name, DOB, address, credit card information, etc. Some of the devices transmit that data across the network with no sort of encryption technique, which might be simple for an interceptor to follow, and read. Cloud computing services which are used by a number of devices are also helpless. Web Interface: With the steady cross-website scripting, simple default passwords and weak session management are the concerns with regards to the user web interface. These are the in addition points for hackers to effectively recognize records of users and misuse it for their advantages. Vulnerabilities will get an extraordinary hike with these. Encryption of Data: A number of gadgets make use of unencrypted network services. Most of the gadgets neglect to encode the information even when they are connected to the web. They ought to perform transport encryption where data transformation between two gadgets will be encoded. It will be extremely significant to overcome security concerns. Less Network Awareness: Numerous organizations are not totally aware of what is there on the network and subsequently cannot evaluate if they have any IoT gadgets that are configured wrongly. It is very hard to keep up a view like a dashboard of each and every gadget on the system. Performing clear emphasis on security from day one is always a good thought. Implementation of secure access control as well as device authentication. Study threats and possible attackers before handling IoT security. Get important updates regularly throughout the lifecycle. Be ready for probable security breaches sooner or later. As an IoT application developer, one should always be careful of threats. Security break is nearly happening a few times or more than that and you ought to be prepared for them. You ought to dependably be set up with an exit preparation to secure information in case of any assault or vulnerabilities.